The Anchorage Community Development Authority (ACDA) is seeking proposals from qualified agencies for facility structural improvement/repairs for 5th & B, 6th & H, and 7th & G parking garages. The request for proposal is available on Bidsync website at www.bidsync.com. 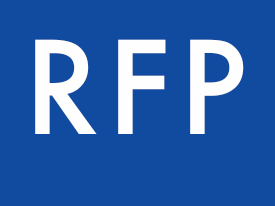 Documents can be found under the title: "RFP 2015-01: Facility Structural Improvement/Repairs". No deposit or fee is required to obtain Proposal Documents and registration is required to log on to the Bidsync website. Each bidder is responsible to acquire and pay for General Conditions of the Contract for Construction AIA A201-2007 and Bid Bond AIA A310-2010, which hard copies are available at an AIA office, or can be downloaded for printing at the AIA website (https://documentsondemand.aia.org/frmOnlineProductList.aspx). A pre-proposal conference and tour for the purpose of acquainting prospective proposers with site conditions and special requirements of the project, to be held on February 19, 2015 at 10:00 a.m. (AKST). Attendance is MANDATORY for the Proposer or a designated Proposer's representative. The meeting will commence at the ACDA main office located at 245 W 5th Ave., Suite 122, Anchorage, AK 99501. Parking is available in the 5th & B parking garage. Prospective proposers are asked to familiarize themselves with the project documents and requirements prior to attending the walk-through. Call (907)276-7275 only for general questions on Pre-Proposal Conference, directions, etc. Proposals are due no later than 2:00 p.m. on March 5, 2015. 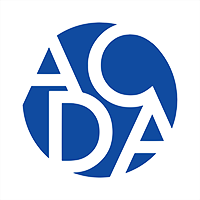 ACDA reserves the right to reject any and all proposals and to waive any defects when in the opinion of ACDA, such rejection or waiver will be in the best interest of ACDA. The vendor chosen will be notified within 45 days after the due date.